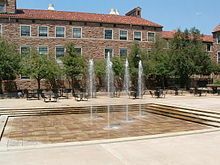 (Newser) – Students arriving for classes at the University of Colorado in Boulder this term could be packing more than pencils and books. Due to a state Supreme Court decision, students can now bring their guns to school. The court ruled that the university's ban on guns was unconstitutional. Weapons must still be concealed, can only be carried by a permit holder (who must be at least 21 years old), and cannot be brought to undergraduate dorms or sporting events—but university officials are, nevertheless, worried about weapons on campus. "We're actually more concerned about someone who's not experienced or trained in the use of a handgun getting access to one by accident or on purpose—and possibly causing injury to themselves or others," said an official. So, what's next on the quad -- hand grenades, sniper rifles, and CS gas? Maybe its time to get an education out of the public library. Its free, and not located in a war zone. I only wish I had a gun on campus during my college years to protect me from all the on campus shootings...oh yeah, there were none.